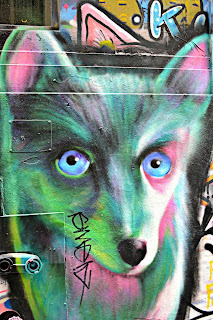 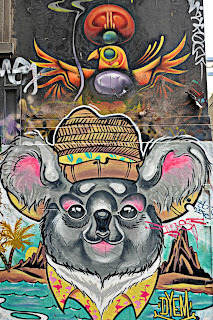 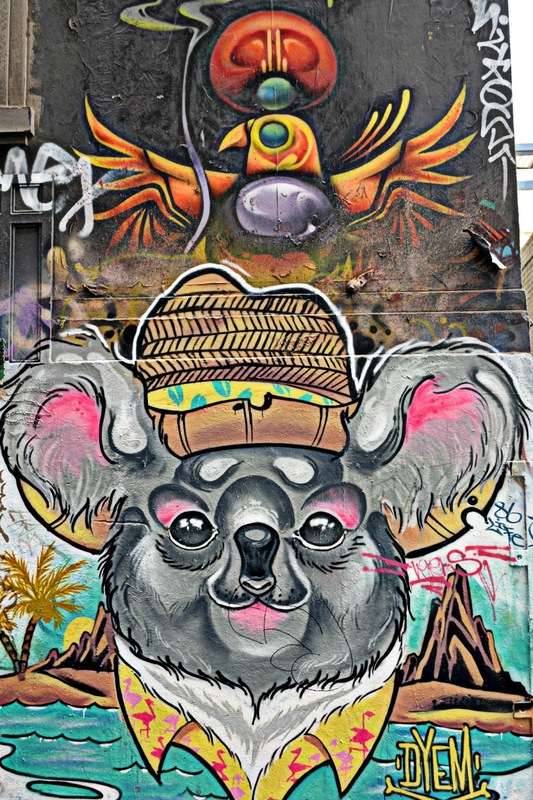 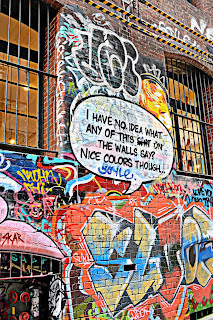 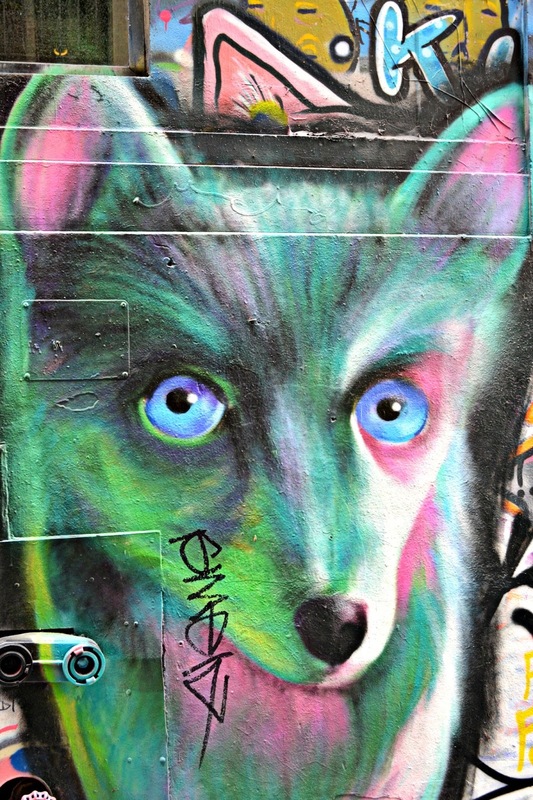 While wandering around the streets of Melbourne, one will definitely run into a great deal of street art. 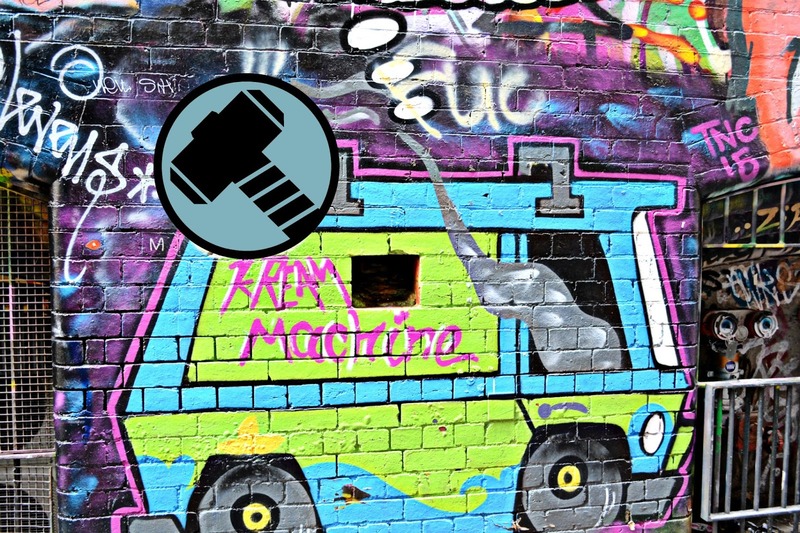 Here, in this wonderful city, street art is legal in some locations. 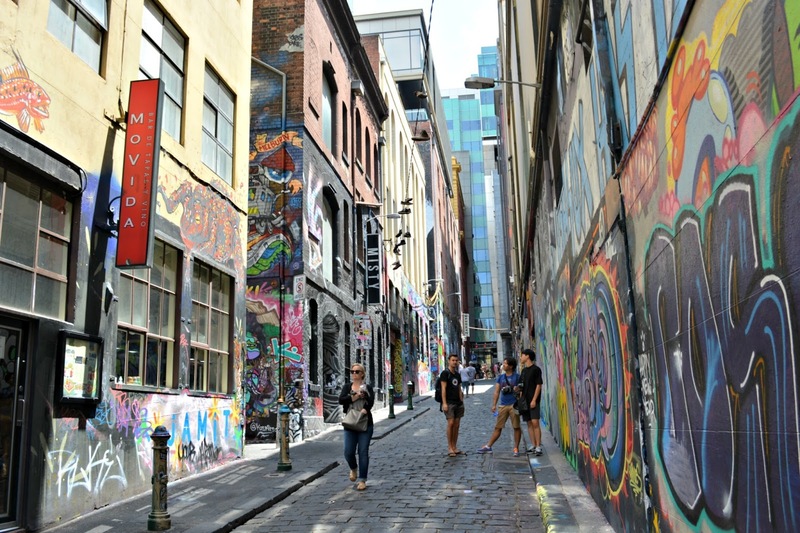 This means that you will find some of the most amazing (or some of the weirdest) paintings along the sides of a building and tucked in random laneways. 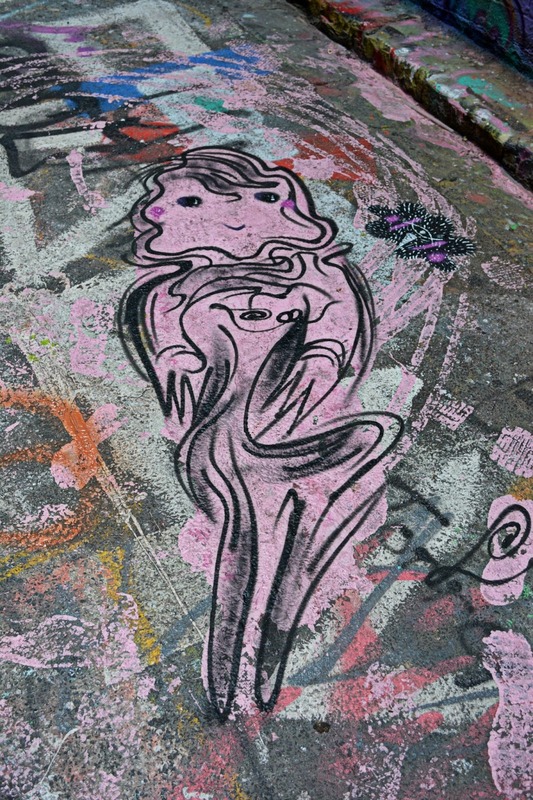 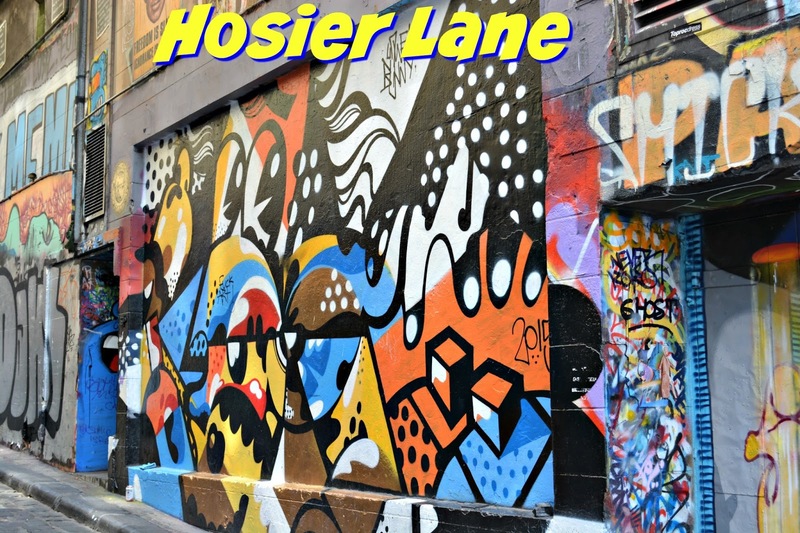 One of the more famous laneways in Melbourne is Hosier Lane. 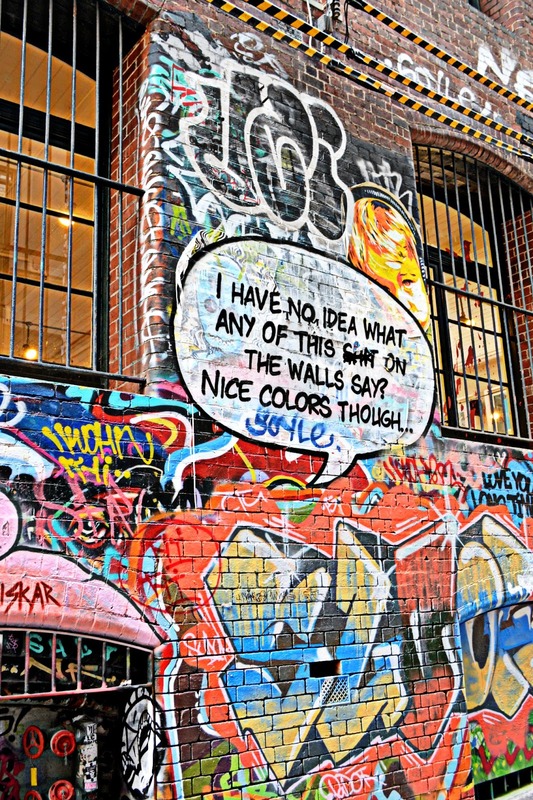 As artists frequent this location, chances are you won't see the same artwork every visit. 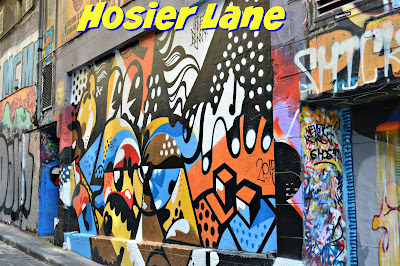 Very rarely will you venture to Hosier Lane and not find artist painting or see tourists snapping pictures of the amazing art. 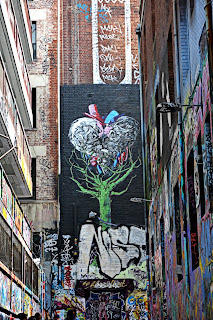 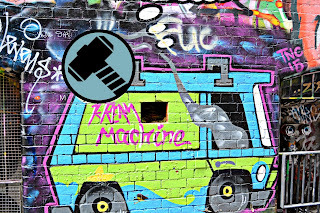 Had to add Thor's hammer to cover Thor's "hammer"
Even down the obscure laneways of Melbourne, one can find adventures. 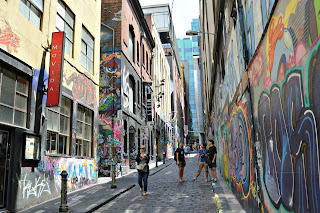 Seriously who wouldn't want to visit/live in this amazing city?